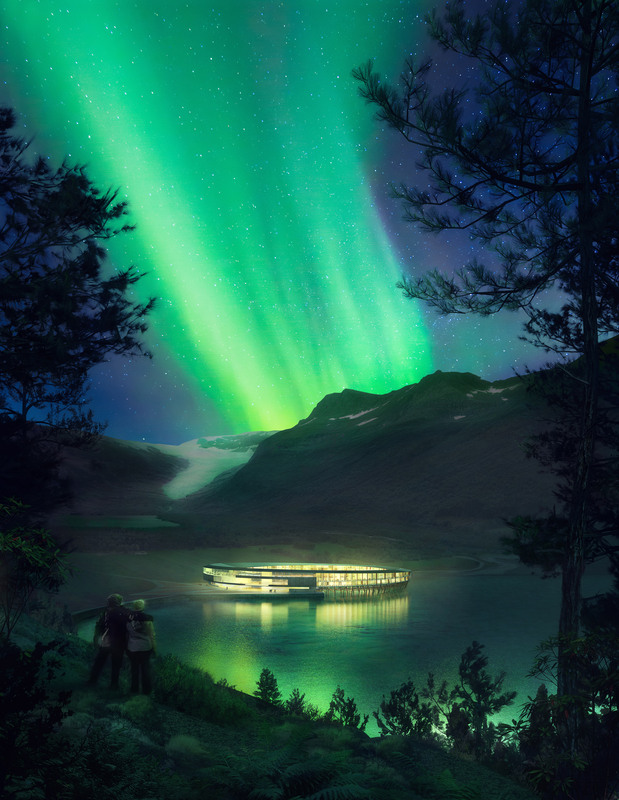 Snøhetta has revealed plans for a sustainable ring-shaped hotel, that will be nestled at the base of Norway’s Almlifjellet mountain, within the Artic Circle. 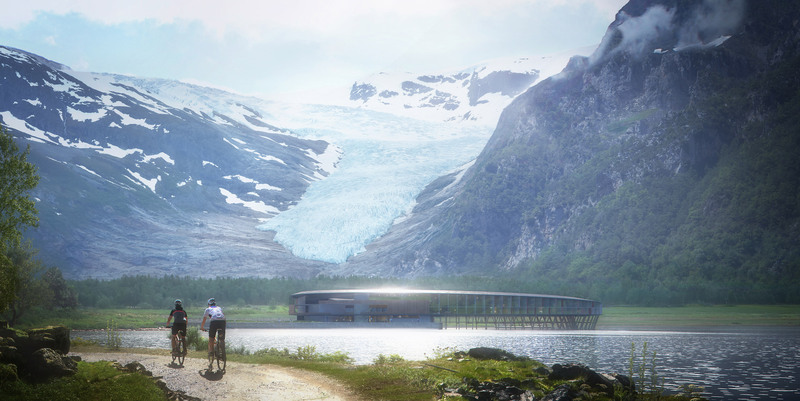 “Building in such a precious environment comes with clear obligations in terms of preserving the natural beauty and the fauna and flora of the site,” said Snøhetta’s founding parter, Kjetil Trædal Thorsen, in a statement. Mapping the movement of the sun’s rays, the architects decided that a circular structure topped with solar panels would provide optimum levels of light throughout the day and across different seasons. Recessed terraces have been integrated along the hotel’s facade that shade rooms during the summer, replacing the presence of artificial cooling systems. Fronted by a large window, rooms can also exploit the sun’s thermal energy during the colder weather. 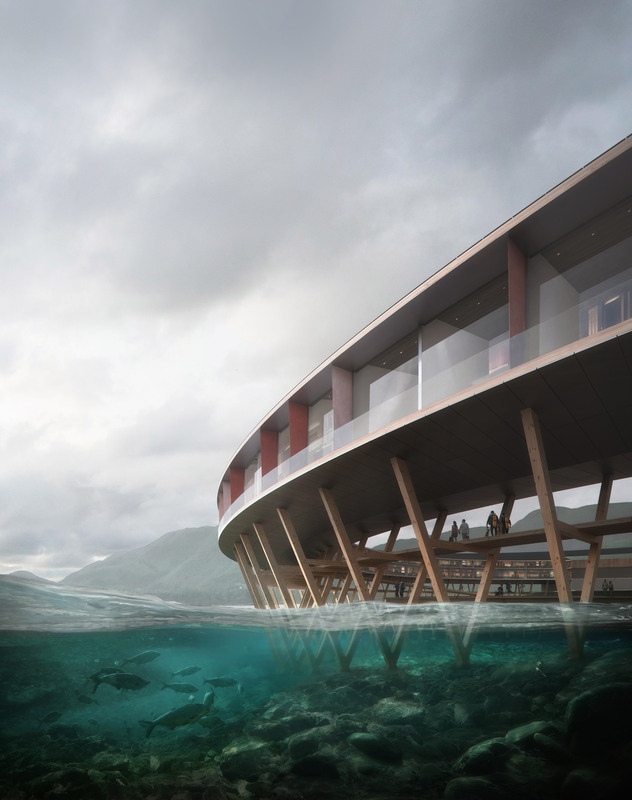 The Svart Hotel has been designed alongside tourism company Arctic Adventure of Norway, engineering and architecture consultants Asplan Vaak, and construction group Skanska. Together with Snøhetta they form a collaborative group called Powerhouse, which build energy-producing buildings they call “plus-houses”. 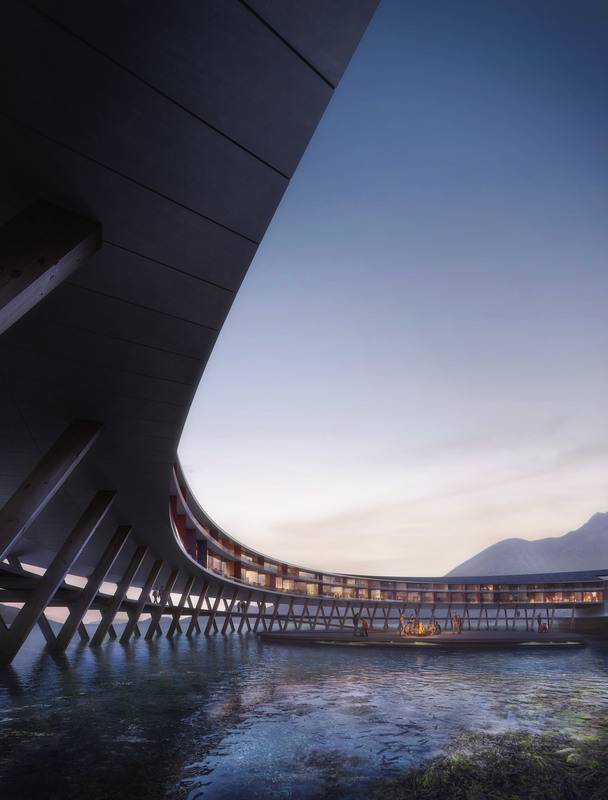 The post Snøhetta unveils plans for “energy-positive” Arctic Circle hotel appeared first on Dezeen.